The AQUALOOP membrane station holding the membrane cartridges is mounted inside the bioreactor tank. 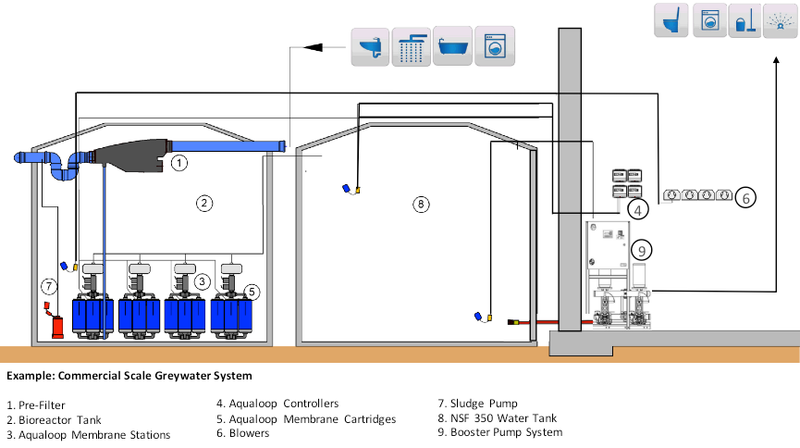 A transfer pump, backflush pump, and aeration connection are all integrated. The AQUALOOP membrane station holds up to six membranes. Multiple AQUALOOP membranes stations are used to scale to any capacity. 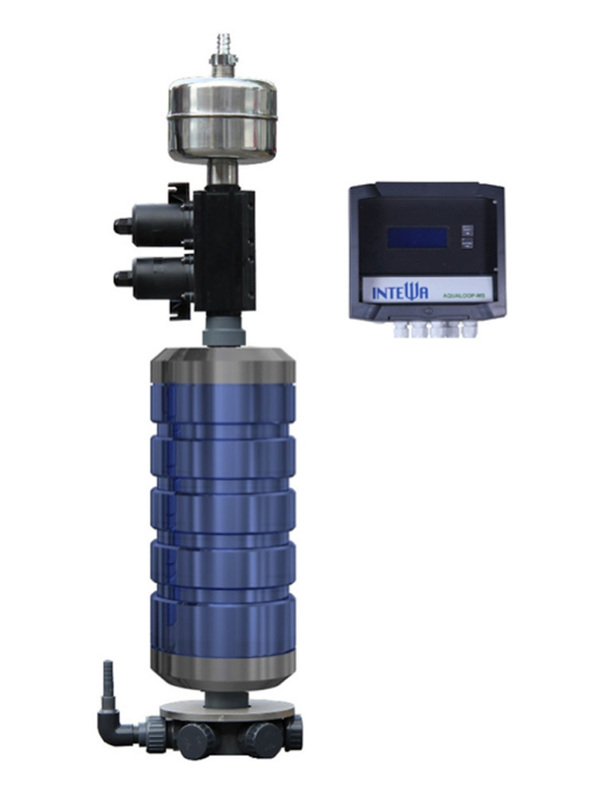 A central controller manages aeration, filtration, and tank levels. In addition to critical aeration for biological growth, the blower also keeps the membranes clean. 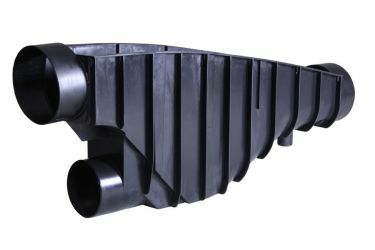 The blower operation is run at maximum energy efficiency and optimal treatment level with less than 2 KWH per 1000 gallons of treated water. The AQUALOOP pre-filter is self-cleaning and keeps hair, lint and other debris out of the process. The filter is showered off to flush these contaminants down the drain. Filters are sized for flow up to any size building. 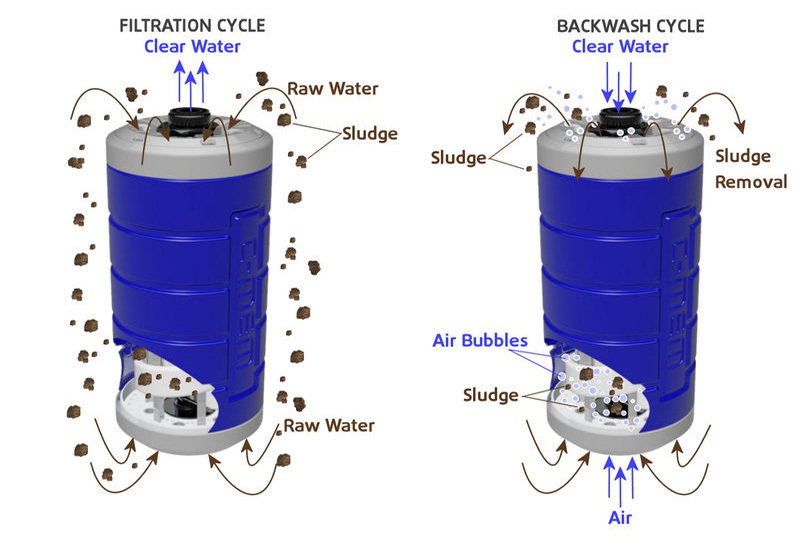 For greywater treatment, biological treatment breaks down organics. 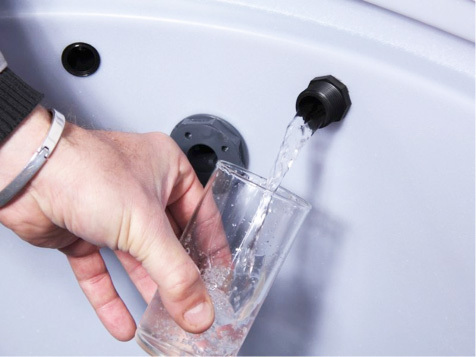 For rainwater and surface water treatment, we skip this step to still achieve drinking water standards. Growth media are high surface area small plastic pieces that move through the bioreactor, propelled by aeration and circulation (a moving bed). Bacteria take up residence on the growth media, forming a biofilm to thrive. Aeration assures the best, highly active aerobic bacteria species dominate. Normally, this treatment happens in a bioreactor that is also the catchment tank. 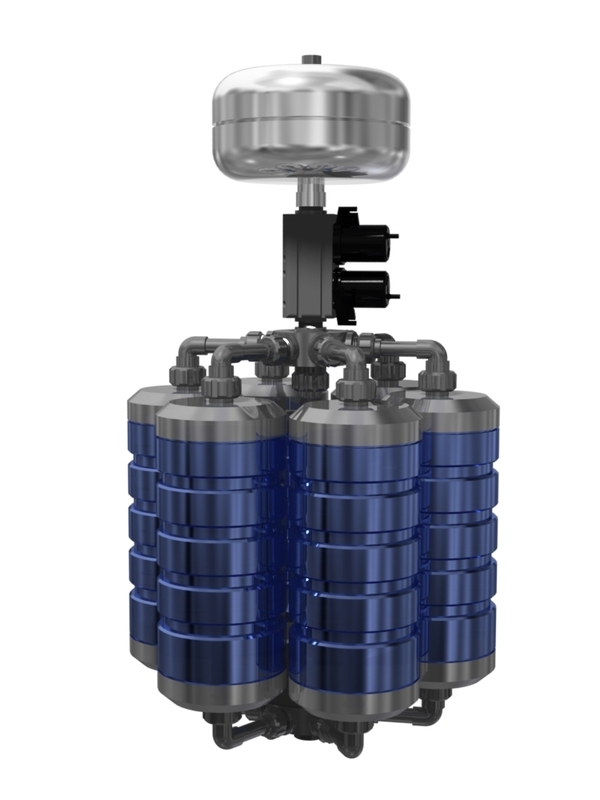 In some applications, we have a separate catchment tank to equalize flow before water enters the bioreactor. 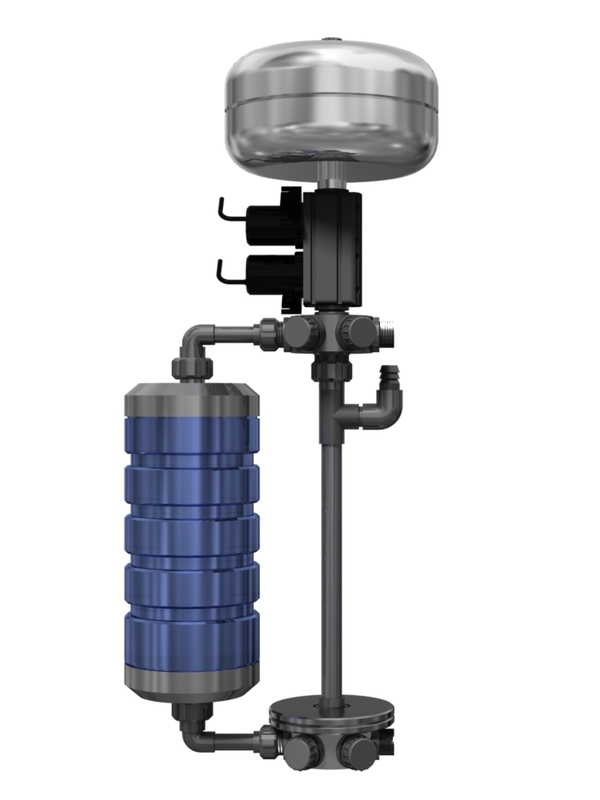 Patented AQUALOOP membrane cartridges are the core of the water treatment process and the Aqualoop advantage. The membrane’s special hollow fibers are designed to effectively exclude bacteria and viruses from passing to the NSF 350 treated water tank. 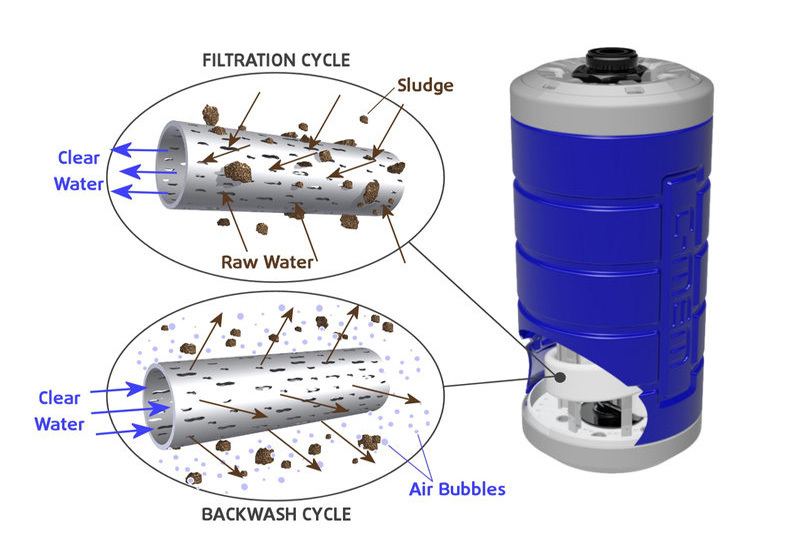 The ultrafiltration membrane has an effective pore size of 0.02-microns to remove contaminants with 6 log reduction of bacteria (99.9999%) and 99.7% (almost 3 log) virus removal. Click Here for details. The membranes stay clean extra long with built-in backwash controls and air scouring. AQUALOOP can improve the water quality without chemical additives such as chlorine, which has proven hazardous to health (to say the least!). It is a known carcinogen. AQUALOOP's special cartridge and membrane design allows for a long service life of up to 10 years with only minimal maintenance. That’s it! Pre-filter, aerate, and filter. There is no additional treatment necessary to assure NSF 350 (C) quality water. This is how we can minimize maintenance time and cost.